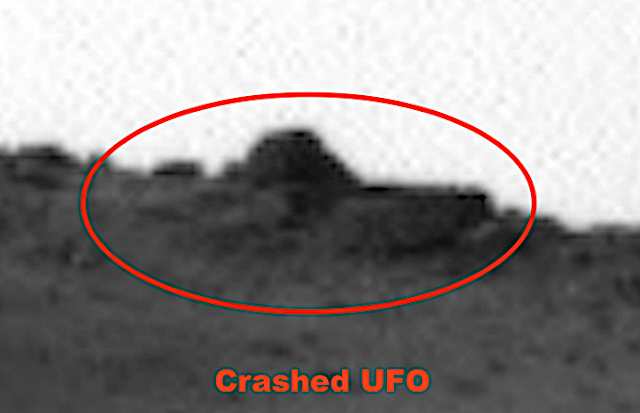 UFO SIGHTINGS DAILY: Ancient UFO Found Crashed On Mars Near Curiosity Rover, March 2019, UFO Sighting News. I found a crashed disk on a hilltop of Mars in this weeks most recent Curiosity Rover photos. The disk was half visible and about 30% of it was buried below the surface of the hill. 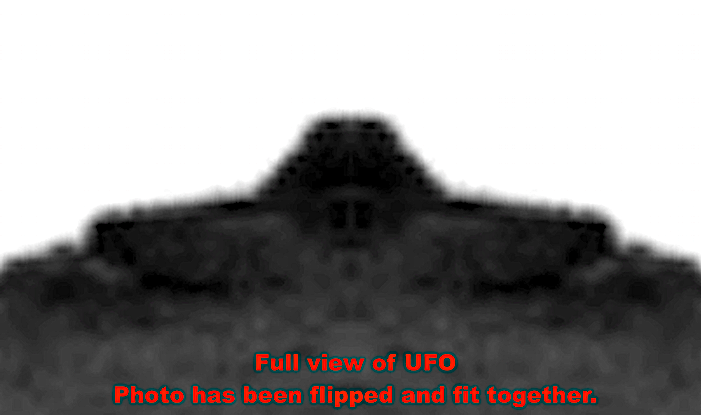 Estimated size of the UFO...about 40 meters across. Now here on Earth, ancient Aztec and Mayan ruins are similar to the top of this craft, but the bottom of the craft gives it away. Why? Because when have you ever seen the base of any pyramid stick out like this? Never. But you can see that the object landed in this location, and was not built that way. 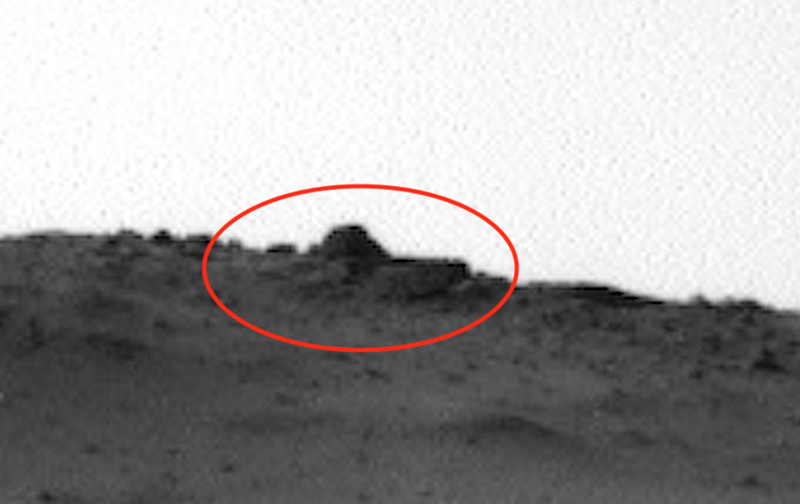 It looks like the rover was not heading in this objects direction, but rather the camera accidentally swept past it when looking around. 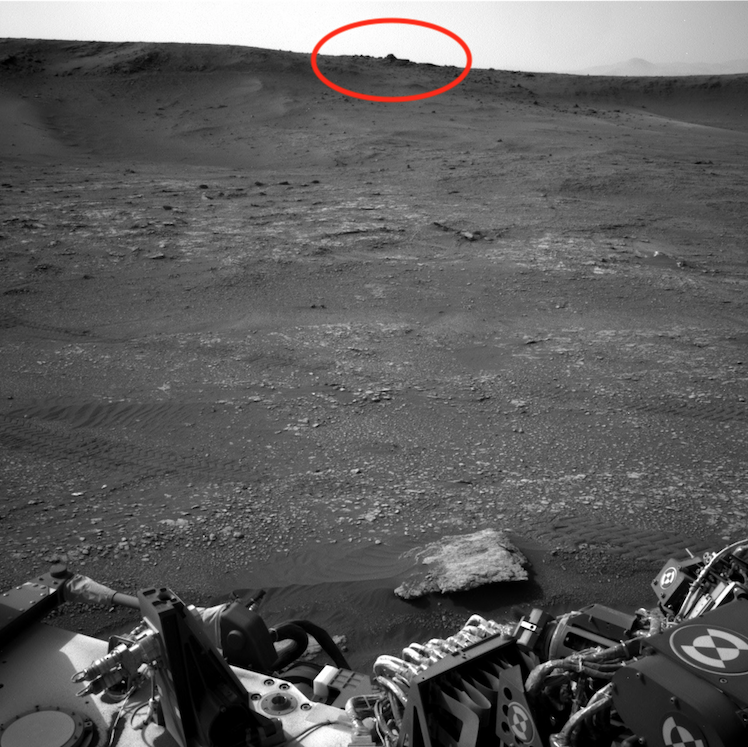 I would really like to drive that rover over to this hill top and get a closer look at this ancient craft.